We are no longer taking online registrations. 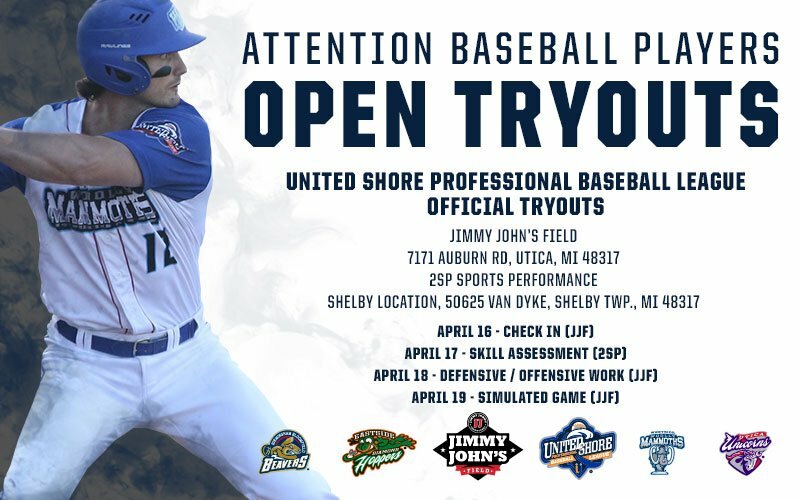 We will be taking in person registrations – April 16 from 4 p.m. to 5 p.m. at Jimmy Johns Field, and April 17 from 7:30 a.m. to 8:00 a.m. at 2SP Sports Performance Shelby Twp. We will be accepting in person registration (cash only) on the dates above. Tryout participants will be evaluated by all USPBL Managers and staff. The USPBL has produced 26 players that have signed with MLB organizations in the first three seasons. Players must be at least 18 years old, been born on or after January 1, 1993 and a United States Citizen. No player may have attained the age of 26 prior to January 1, 2019. Please note that players with college eligibility remaining should check with their school compliance office before registering.